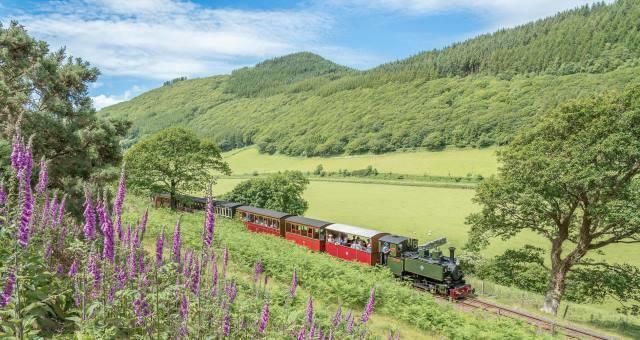 Drive a Steam Train at Rheilffordd Talyllyn Railway01654 710472work Experience‘You blow the whistle, release the brakes and open the regulator. A hiss of steam and the train starts to move - the start of the journey and the start of an experience of a lifetime’. Learn to drive a historic steam locomotive hauling your own private train, bring your family and friends to share the experience. On your exclusive course you will have the full attention of three, fully qualified Talyllyn Railway staff (a Driver, Fireman and Guard). * ‘Daylight Evening’ giving one return trip with sandwiches and light refreshments. 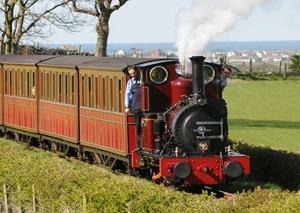 On both courses you will haul a normal rake of coaches in which your guests may travel. Each experience is tailored to suit, and we are well used to organising one as a surprise for the recipient, so don’t be afraid to ask! The experience may be tailored to your special event and we will do our utmost to accommodate any special requirements that fit with you or the occasion. For all experiences, single-line operation safety requirements apply and tokens are exchanged at every block post. This allows practice at stopping and starting the train. During breaks it will be possible to discuss the history of the line, its operation and its continued development - the questions are yours to ask. On arrival at the Locomotive Shed at Pendre, the Guest Driver will be met, and the Talyllyn Driver will give you a safety briefing, and will make sure that you are well prepared. For the full day experience, there will be the opportunity to help your crew to prepare the locomotive at the start of the day, and to enjoy the atmosphere in the shed, which is the oldest steam shed in continuous use. From our previous experience, we are confident that you will enjoy your day! The small size of our narrow gauge locos means that only one visitor can be on the locomotive at a time, so our Driver Experience trains really are exclusive - the whole of each trip is yours. The train is private, you can bring your family and friends to travel in the carriages. You can even bring your dog! ‘You blow the whistle, release the brakes and open the regulator. A hiss of steam and the train starts to move - the start of the journey and the start of an experience of a lifetime’. If you are interested, but would like further information, or would like to know if a particular date is available, please feel free to contact us to discuss the details at the address below, or email de@talyllyn.co.uk . Three guests can travel on your train inclusive of the cost. Additional guests travel for £10. Food is included for all guests.